October 5 is Pro-Life Sunday, a time to remember our commitment to defend life from the moment of conception to the moment of natural death. In that context, I am glad to invite you all — but particularly the youth and young adults — to attend an event called “Walk as Children of Light” that will take place on that day. 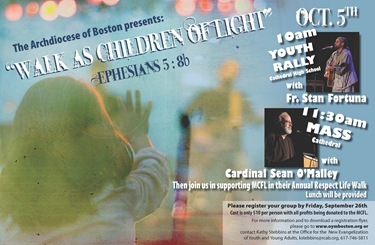 The event will start at 10 a.m. at Cathedral High School with a Youth Rally featuring Father Stan Fortuna and will be followed by Mass at the Cathedral. Participants will also be encouraged to participate in the annual Massachusetts Citizens for Life Respect Life Walk. It is always very heartening to see successful members of the community give witness to their faith. 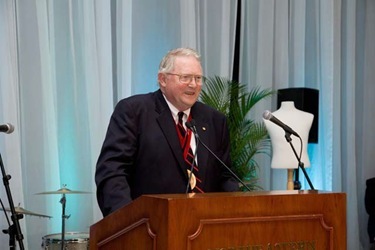 Last Thursday, I was honored to attend a dinner at Northeastern University celebrating the accomplishments and service to the school of Neal Finnegan. Neal gave a beautiful testimony to his Catholic faith and his commitment to the Church. 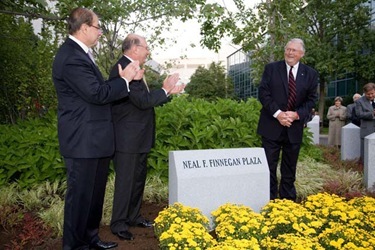 For 10 years Neal was the chairman of Northeastern’s board of trustees. The school dedicated a plaza and a monument for him on the campus. Friday, I was in Providence to celebrate the vigil Mass for the annual meeting of the Equestrian Order of the Holy Sepulchre of Jerusalem at the Cathedral of Saints Peter and Paul. At the vigil, we awarded the promotions to different members. Among those promoted was Ted Furey, who is so active at the cathedral parish and was promoted to Knight Commander. Saturday, the Mass was celebrated by the Order’s Grandmaster, Cardinal John Foley, who was visiting from Rome. It was a beautiful celebration. The singing was extraordinary. Under the leadership of Father Anthony Mancini, the choir at the cathedral in Providence is always an inspiration. Father Kevin O’Leary, Father Jonathan Gaspar and Father Robert Reed were among the priests who entered into the Order. That evening there was a banquet at the Marriott for all the members. This is Jack Monaghan’s first year as the lieutenant for the region. 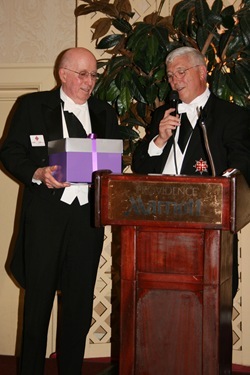 He honored Dennis Looney for all the hard work Dennis has done for the order and continues to do. 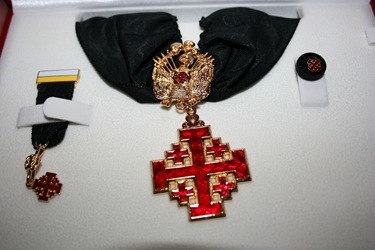 The order goes back to the 12th century and the Latin Kingdom of Jerusalem, where its mission was to defend the pilgrims and the Holy places and care for the sick. In our modern times, the order has been very much engaged in supporting the mission of the Church in the Holy Land, where the number of Christians has diminished considerably. Their work has been very significant in support of the works of evangelization and the works of mercy that have been carried on by the Church in the Holy Land. Saturday, Catholic Television visited with me at the cathedral for the filming of a program, which is part of our bicentennial celebration. The program highlights the many Boston men and women who have gone to serve the Church in the missions. Many of the religious communities were represented. We hope this will raise awareness of the missions among the people and make them willing join us in prayer for the missions and make them generous with financial support. One of the salient activities highlighted was the work of the St. James Society, which has sent priests to serve in Peru, Equator and Bolivia. Each year, CatholicTV runs a telethon and this year many of the Catholic Daughters were there to answer the phones. Many people came to the studios to sing and perform during the program. It was a great success as always. 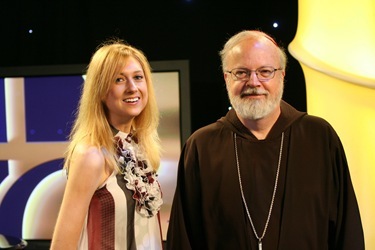 Each year, the telethon is an opportunity to showcase the extraordinary work being done by Father Reed, Jay Fadden and the remarkable staff at CatholicTV. I participated at the telethon to greet the people and encourage them to make their donations. 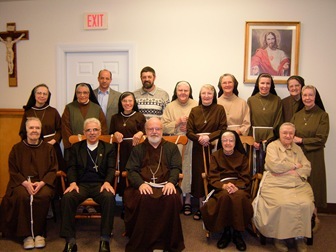 CatholicTV’s new venue at Watertown’s former St. Patrick’s Convent, a building completely refurbished for the needs of the television station, has been a wonderful asset for their ministry in the archdiocese. 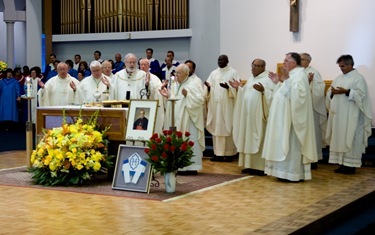 Sunday, I celebrated Mass at East Cambridge’s St. Anthony of Padua Church to commemorate the 25th anniversary of the passing of Cardinal Humberto Medeiros. The Mass brought together bishops, priests and the faithful as well as a number of relatives of Cardinal Medeiros. Also attending was the Portuguese consul to Boston, a representative from the Catholic University of Portugal and Tim Toomey, the state representative for East Cambridge. 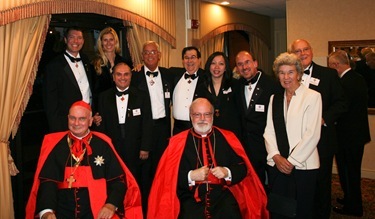 The actual day of the cardinal’s death was Sept. 17, this was the following Sunday when we celebrated his memory and the great contributions he made to the Church, as a priest and as a bishop: first as the pastor of St. Michael’s Parish in Fall River, then as chancellor of the Diocese of Fall River, and finally in Brownsville, Texas, a very large diocese with very few resources. 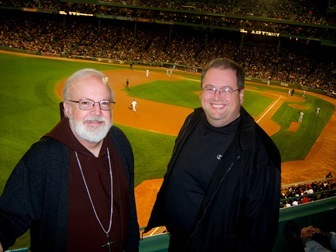 After serving so well in Brownsville, he came to Boston to replace Cardinal Cushing. Cardinal Cushing was a larger than life local hero and it was a challenge coming in at a time of great financial distress for the Church of Boston. Cardinal Medeiros brought a sense of faith and peace and healing to a number of issues here in the archdiocese. 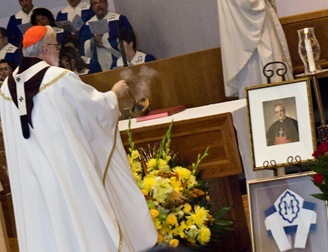 His spirituality and humility were great graces for the archdiocese. You can read more about the event in this Pilot article. Later on Sunday, we were able to show our appreciation to the sisters celebrating their anniversaries at a Mass for jubilarians. 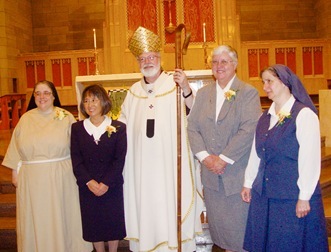 Sister Marian Batho calculated that there were 10,000 years of service represented. 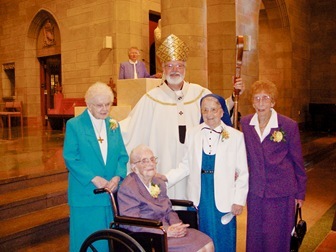 Some of the sisters were celebrating more than 70 years of religious life. 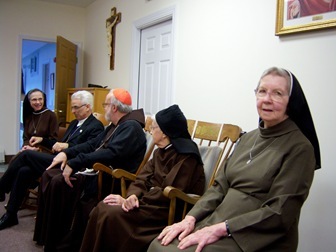 Even some contemplative sisters, the Poor Clares, came. 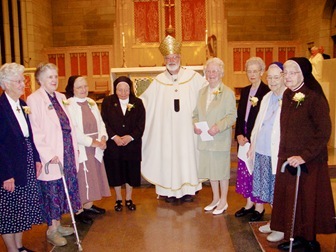 One from Andover was celebrating 72 years of religious life. 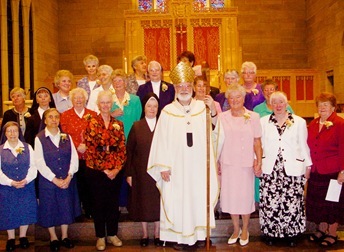 It is a wonderful way for us to demonstrate the great affection and appreciation that we have for our religious sisters. Particularly those who have spent so many decades of their lives serving the Church and the people of the Archdiocese of Boston. 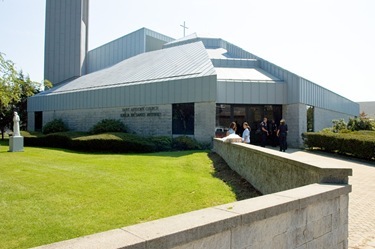 Monday, I was in Framingham to celebrate the funeral Mass of Father Frank O’Brien, the pastor of St. George’s, who died suddenly last week. It was totally unexpected and Father Ben Letran stepped into the breach with the help of his faithful staff and parishioners. At the ceremony, there was a wonderful outpouring of affection for him. It was very moving to see there was standing room only as people mourned the loss of a beloved pastor who served them and the Church so well during these challenging times. We have more than 200,000 Brazilians in the archdiocese, so it is not surprising that this year the national leadership team working in the Brazilian Apostolate would have its annual meeting in our archdiocese. We met at the Franciscan Center in Andover. 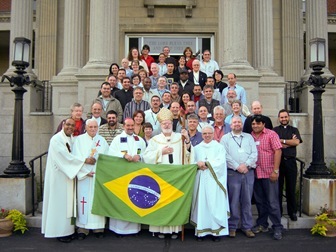 There were 50 or 60 priests present, most of them from Brazil. The speaker, Bishop Alessandro Ruffinoni, is a Scalabrini missionary working for the Brazilian bishops with the task of traveling the world and helping people ministering to Brazilian immigrants. He has a special competence in addressing their needs. In fact, he just arrived from Japan, where there is a substantial Brazilian population. I celebrated Mass for them and afterwards we greeted the people. The other bishop present was Bishop Edgar da Cunha, who is a Vocationist Father and an auxiliary bishop in Newark, N.J., where they have a very large Portuguese-speaking community. 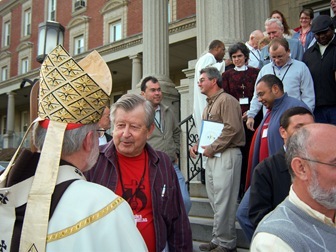 Until Bishop da Cunha was ordained, I believe I was the only bishop in the country who spoke Portuguese. Here in the archdiocese the second most common language spoken is Spanish. But, a close third is Portuguese, because of the tremendous numbers of people from Cape Verde, Brazil and Portugal. It just so happened that the day was the Feast Day of St. Padre Pio of Pietrelcina. It has been 40 years since the death of Padre Pio, and also on that day, the Holy Father announced his intention to visit the Padre Pio shrine at San Giovanni Rotondo. The shrine now receives more visitors than any other site in the world, except Guadalupe in Mexico. After the Mass, we stopped by to say hello to the Poor Clares whose convent is next door to the Franciscan Center. 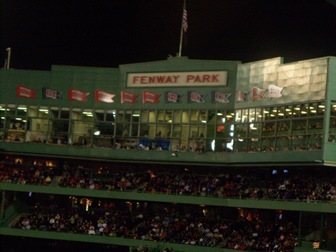 From Andover, we went to Fenway Park to see the Red Sox play the Cleveland Indians. 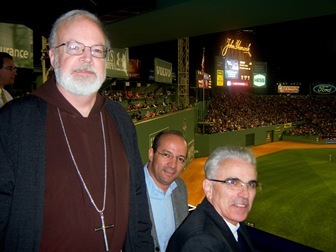 We were invited to use one of the private boxes at the stadium and we were joined by several priests of the archdiocese and some members of the staff at the pastoral center. I must say, after seeing the game from one of the private boxes, I can now say those seats down by home plate have lost their luster. Of course, the Red Sox defeated the Indians that night to secure a place in the playoffs. There was great rejoicing at the victory. The president of the Red Sox, Larry Lucchino came by to greet me and I told him I was very pleased to be there. 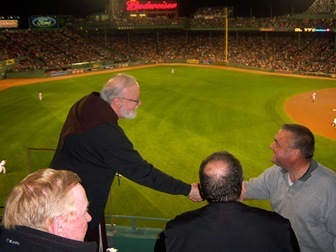 I also told him I was very proud of the fact that since I have been the Archbishop of Boston, the team has won two championships. Only one other Archbishop in the history of the diocese can make that claim. Cardinal O’Connell saw the victories of 1912, 1915, 1916 and 1918 … but, I have just gotten started! 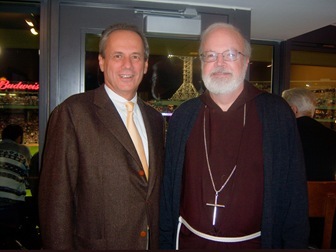 Ralph McCloud, the new leader of the Catholic Campaign for Human Development, the anti-poverty arm of the bishop’s conference came to visit this week. With him was Randy Keesler. Randy is the staff person who takes care of this area of the country. 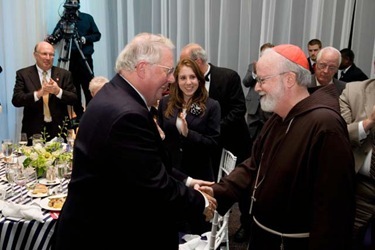 Many years ago, he worked for me at the Centro Catolico Hispano in Washington. I have know Randy and his wife, Celeste, for many, many years. Randy has been very active in the service projects of the Church and promoting the cause of the poor. He has done a great job at CCHD. Randy was showing Ralph some of the projects in the archdiocese founded by CCHD.